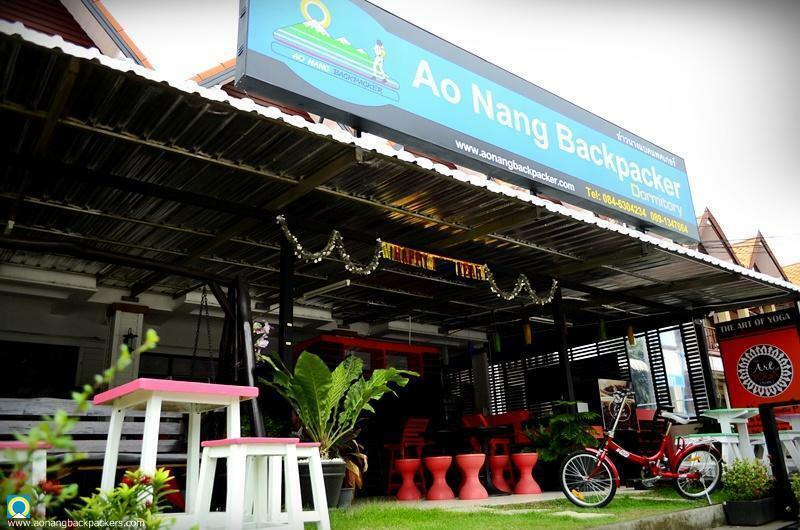 Well-placed in the religious interests, business, shopping area of Krabi city, Ao Nang Backpacker provides a most conducive spot for you to take a break from your busy days. From here, guests can enjoy easy access to all that the lively city has to offer. No less exceptional is the hotel's easy access to the city's myriad attractions and landmarks, such as Ao Nang, Railay, Phra Nang Beach. Offering hotel guests superior services and a broad range of amenities, Ao Nang Backpacker is committed to ensuring that your stay is as comfortable as possible. For the comfort and convenience of guests, the hotel offers restaurant, Wi-Fi in public areas, tours, smoking area, 24hr room service. In addition, all guestrooms feature a variety of comforts such as shared bathroom, air conditioning, coffee/tea maker, television LCD/plasma screen, kitchenette to please even the most discerning guest. Besides, the hotel's host of recreational offerings ensures you have plenty to do during your stay. You can google map for Aonang Backpacker or use this gps : 8.039067,98.833244.